Pain holes up in the corners of our round mind. Take a deep breath now and let a little out. I'm serious- that wasn't deep enough. A real one this time. Ahhhhhhh. Stretch your jaw out. Relax that spot right between your eye brows that is tensed up now. Pain fills all the little nooks in our body because it needs somewhere to go. It fills our tiny and hugest muscles. Our joints and tendons. Deep in our bones. At the top of our shoulders it pools and bubbles up and out. And we do things to ignore it. To mask it. To numb or medicate it away. You don't need to go to a pharmacy to get medicine. Denial is one of the strongest numbing medicines I've abused in my life. But pain and joy can't be hidden for long. Because that's just a pretend act- and us human folks- we crave authenticity. And when we aren't or we can't be- we prepare to explode. I was on a walk this morning- my one good thing for myself has stuck. 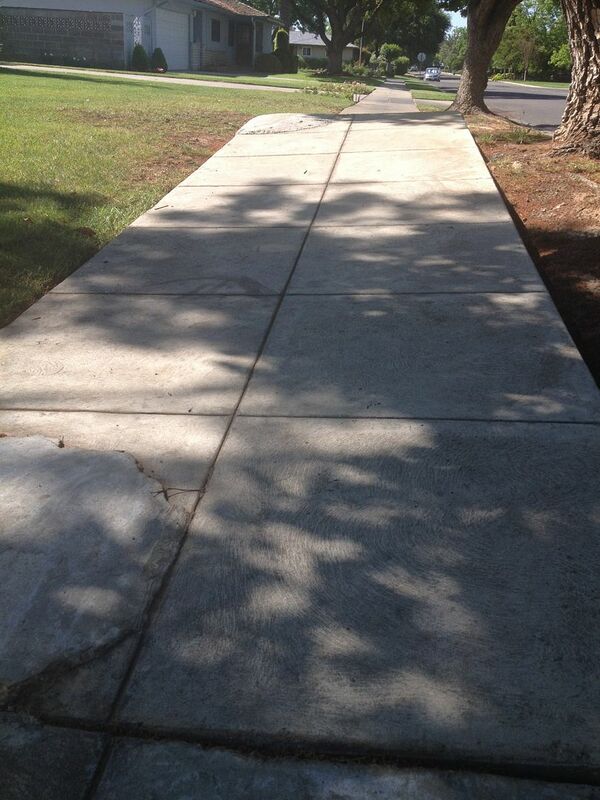 I saw this sidewalk- and from the top looked like a normal sidewalk. But as you can see from this view- this sidewalk is lifted up at least 3 feet higher than the rest of the walkway and so close to cracking and breaking into too many pieces to ever put back together again. Pain is like those tree roots- it has nowhere to go so it finds a spot. "That's the thing about pain. It demands to be felt." (Augustus - The Fault in Our Stars). Today I was reading through the assessments given to Greyson for his school triennial IEP (kinda like a yearly business plan- but for kids with any special needs). And I started to feel that familiar vibration of uncertainty and pain. I felt a heaviness in my chest and it hurt to breathe. Inside I was brewing a big ball of fear, pain, sadness, uncertainty, anger and just plain tired of this feeling-sewn together for all the tests and assessments and both the boys and all the years. That's a lot. 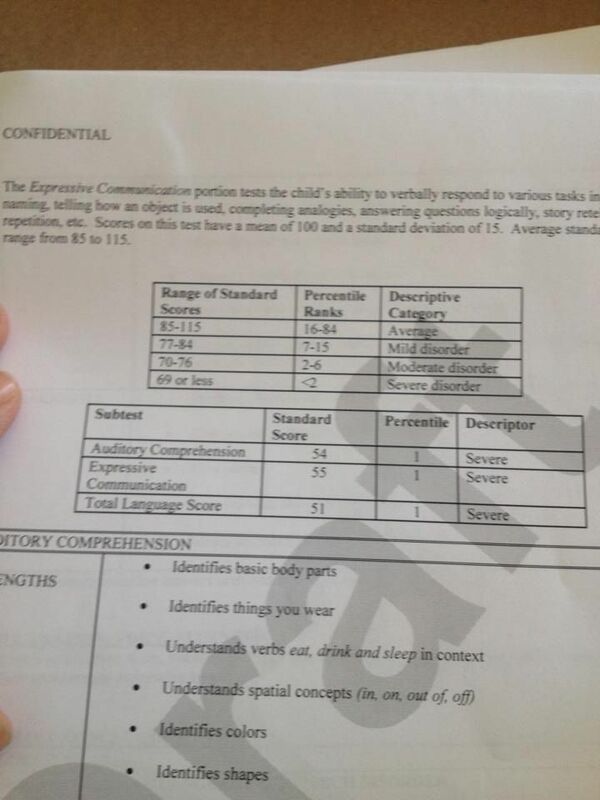 Then I got to the Expressive Language portion of his Speech Assessment and it hurt to read. I sat down and wrote THIS. And all I felt was peace and joy. Suddenly all the bad feelings were GONE. I focused on how far he has come- over a million miles. I acknowledged the bad stuff's presence and I made peace with it. Making peace doesn't mean you give up- it means you let go of the labeling of your situation and the need to control everything. This is our story- ALL of it. How proud I am to live it. I poured all those insecure feelings into something beautiful. My Mommy Assessment. Assessments are good- because professionals need to know the best ways to help our children. We need them to make sure our educators are getting the appropriate view of our child's abilities. We need them to look back on to see how far we have come so we know how best to move forward. We need measurable goals. It's not personal- it's business, and we are in the business of making happy, successful children. In a way- beyond all those crappy feelings was a fear of not being able to control any of this (Control Freak much?) Because I love to control things. I love to do A- no matter how much work it takes- because I know it will give me B. I want it to give me B every time. But autism (and heck- much of parenting) follows no linear alphabet. And that's ok. Seriously. How many times have things gone NOT AT ALL as I meticulously planned and it ended up being exactly the right, best thing ever? Too many times to count- right? So we really need to pour less energy into this control business that we aren't that great at anyway- and MORE energy into the business of letting go. Remind yourself of the beauty of different. Park somewhere different instead of your usual spot. Eat something totally different than usual- like Thai food! (I've never had it- is it good?) Sleep on the opposite side of the bed for a night (that sounds awful right?!) You control freak you! You creature of same! You sound like me. I often say I sweat the little things- the big things I'm awesome at. But practicing little ways of different helps me let go. Take a deep breath and let go. We can work on it together. Awesome! I feel like you rewired your brain and mine with that exercise. There is a situation I've been stressing over, (read: trying to control). Every time I think about it I feel scared and angry. I am going to give myself an assessment right now and shift my thinking and feeling to a more positive place. Thank you! I totally get where you are coming from. 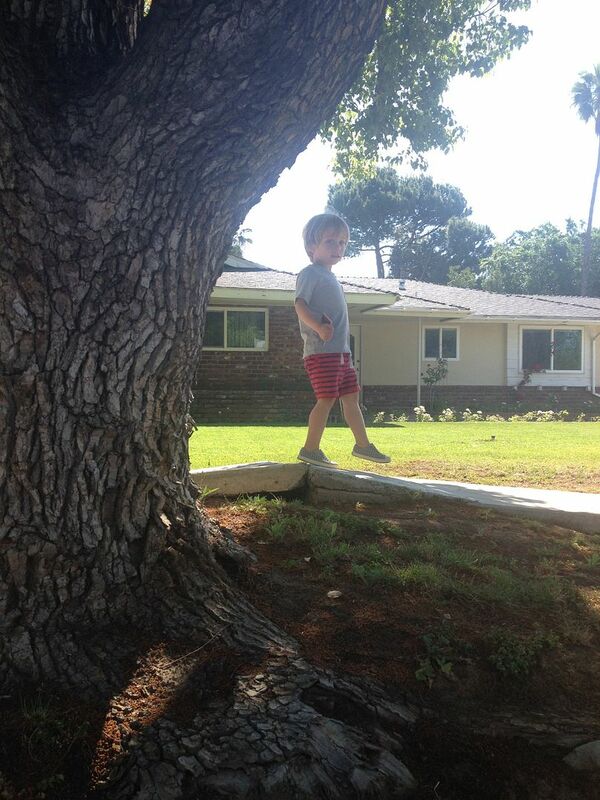 We received an updated assessment last month with a new diagnosis of Apraxia. I shut the door of my room and had an ugly cry. If I learned anything this past year, its that autism parents are on a constant roller coaster of emotions. 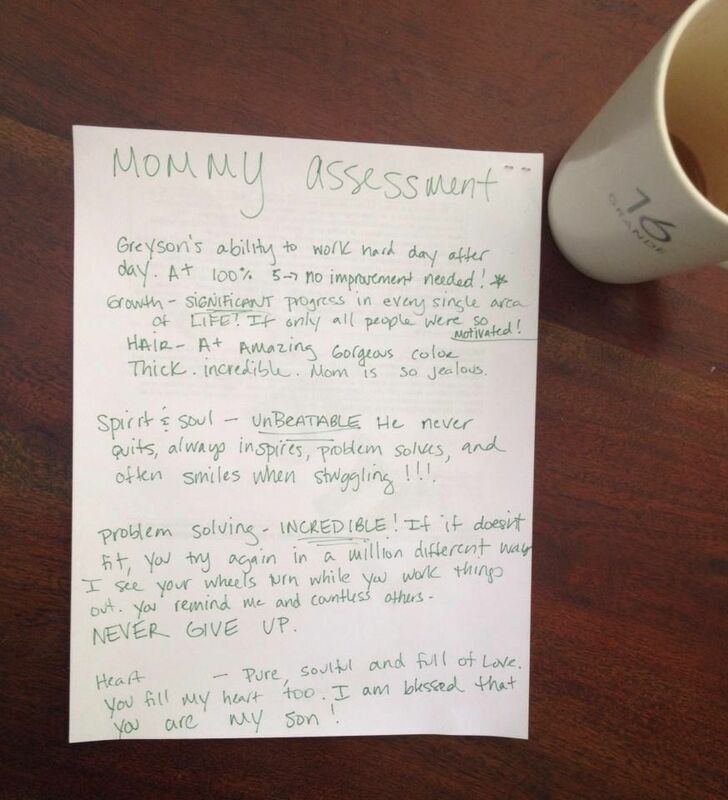 You worked through it awesome and your mommy assessment is everything. Simply put, you inspire me! My day always goes better when I start by reading your inspired blog! It truly is inspired, you know. It helps so many of us refocus our days! In my prayers as always! You are such an awesome Mom. The boys are so blessed to have you! I have been reading your posts for a while now, a few weeks after we got our son's diagnosis. I have bookmarked your site since and look forward to every new post. You write so magically, it feels like you're reading my mind. My son is now 32 months and we are about to transition to the school district and have our very first IEP. I have been diagnosed with Anxiety Disorder and have been struggling daily with the roller coaster of emotions. Please continue to write. And have I said "thank you"? Thanks, Chrissy.